Dense coated shorthaired cats like British shorthairs require a bimonthly bath and grooming. Semi longhaired cats need to be bathed and combed even more regularly, while cats with long flowing coats like Persians need to be combed and have their faces cleaned daily and they should be bathed at least monthly. Even short haired single coated cats like Siamese and Bengals can benefit from a bath every 3 months. 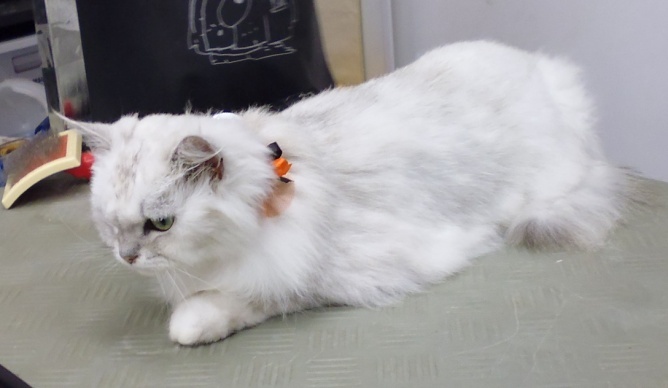 Older cats will often find it harder to manage their coat, and can benefit from regular grooming. You may find it a good idea to get them used to bathing from an early age. Many cats have sensitive skin, and are difficult for their owners to brush regularly. 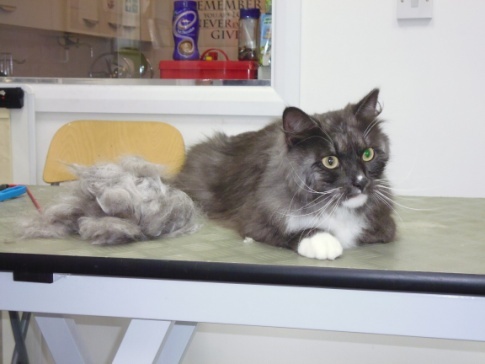 This can lead to coats becoming very matted, requiring a visit to the vet for shaving under sedation. Regular bathing and grooming will reduce this risk, as well as making it easier for you to manage more easily in the home. 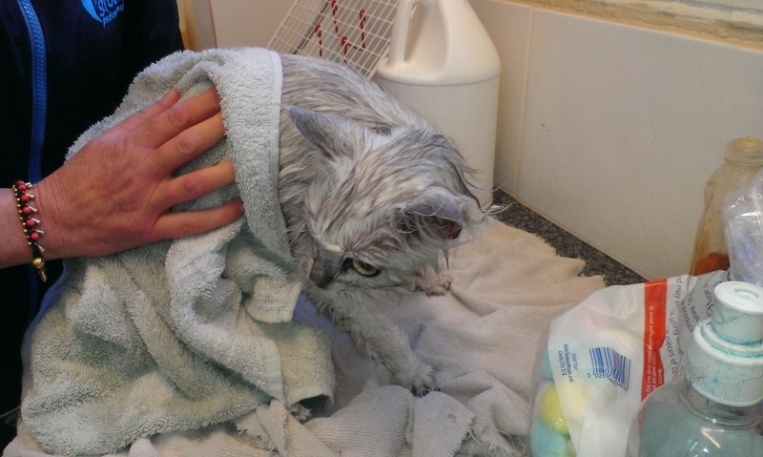 Cat grooming is a specialist service due to the obvious challenge of bathing and grooming a cat. 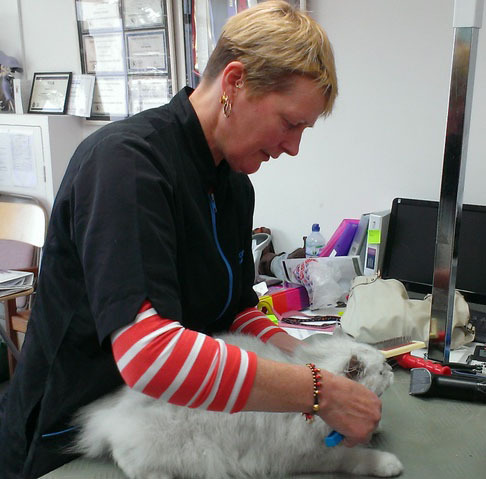 Audrey has received specific training from Heidi Anderton, an award winning cat groomer based in the UK. She is able to groom your cat with the confidence required to ensure that any stress is minimised.